In 2009, scientists at the Fraunhofer Institute for interfacial Engineering and Biotechnology in Germany, wanted to be able to produce artificial human skin in large numbers. The idea has now materialized. Yes, Germany has a human skin factory production activities assisted robots. Robots working in factories squeezed pink chemical solution and pipette into a kind of tool would then convert it into sheets of human skin. This factory produces 5000 opaque white tissue about the size of coins each month. The network will be produced by the skin, can also brown. There are blood vessels in it, so can be used to treat skin wounds. Every network, valued USD 72, or about Rp 620 thousand. Indeed, the calculated is still quite expensive. Two years ago, scientists hope that this factory could produce artificial leather at affordable prices for research and treatment. Leather production entirely controlled by robots and computers are placed in a sterile room with temperature regulated in such a way. 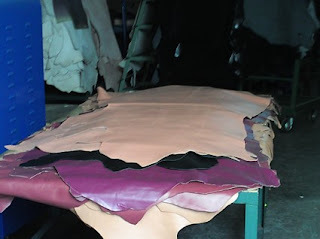 Leather produced monitored closely for truly free of infection. "We believe this kind of plant could be an efficient way to generate new tissues such as bladder, trachea, cartilage and even human organs," said the director Heike Walles leather factory. He and his team of scientists have succeeded in producing tissue for transplantation in humans, but the process still takes a very expensive cost. "Such a network of production facilities is expected to further facilitate and reduce costs," said Walles.